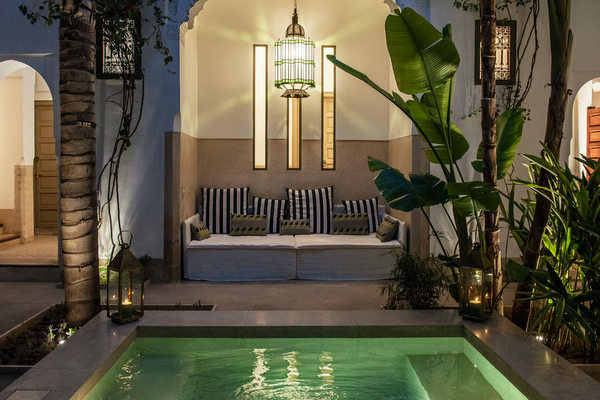 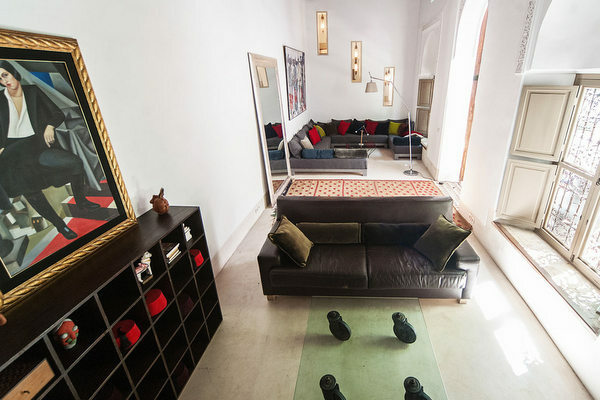 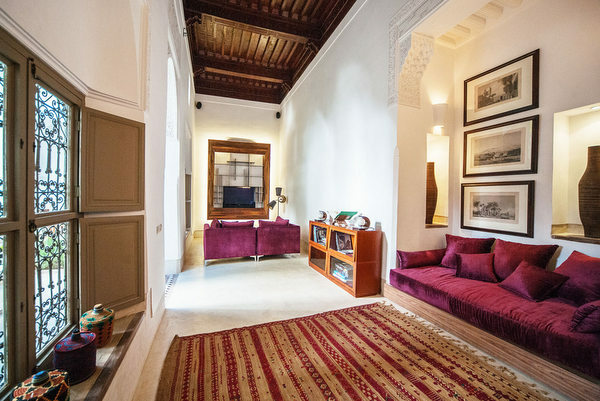 Riad Jaaneman’s Italian-born owner Leonardo Giangreco brings a distinctive European flavour to this traditional Moroccan house, located moments from Marrakech’s buzzing souks and Dar el Bacha Palace. 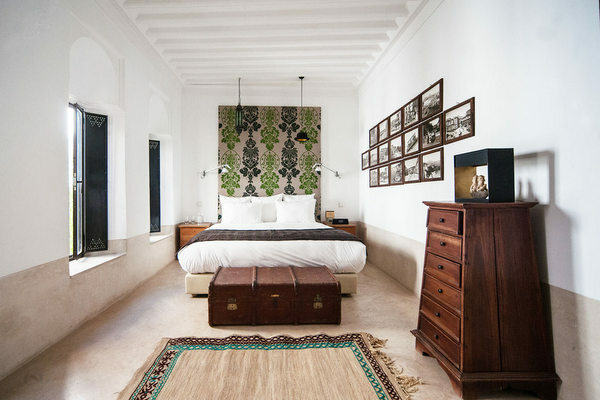 The result is a smart boutique hotel with serious style cred. 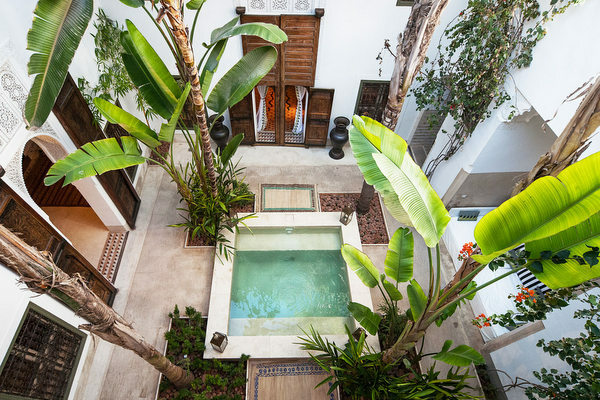 This private pocket of peace is designed around a serene courtyard with plunge pool leading to five suites. 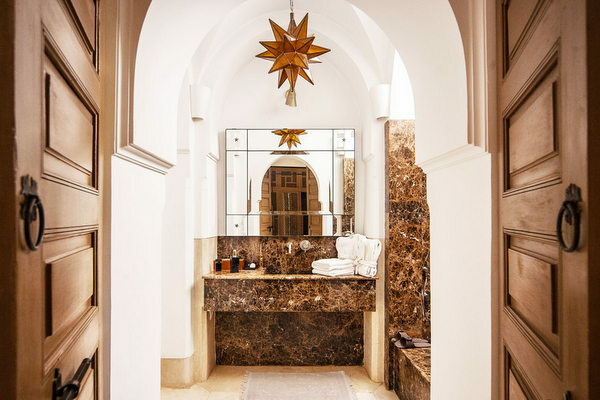 Each distinct suite is awash with fashion trends, art-deco nuances and contemporary art alongside all the classic Moroccan fixtures you would expect (lanterns, jewel tones, intricate carvings). 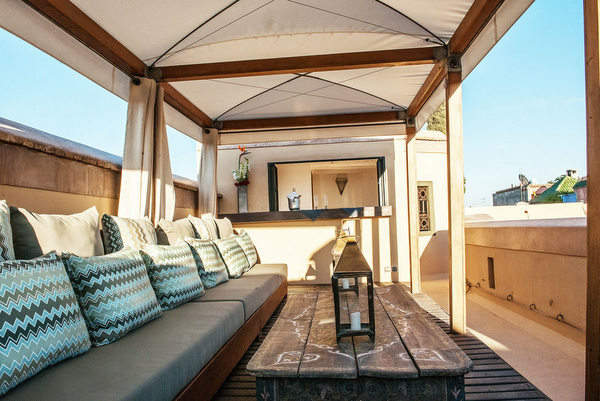 They’re also a lesson in pared back elegance complemented by industrial-chic edginess (glass-top tables, spotlights, pendant/floor lamps). 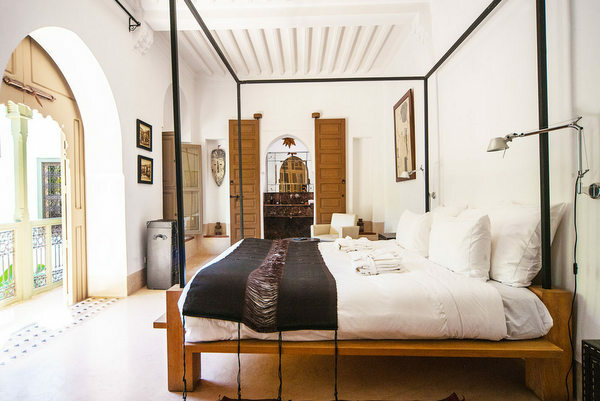 Jaaneman is available for exclusive hire and can sleep up to 10 guests at one time, which makes it ideal choice for a holiday with friends or family. 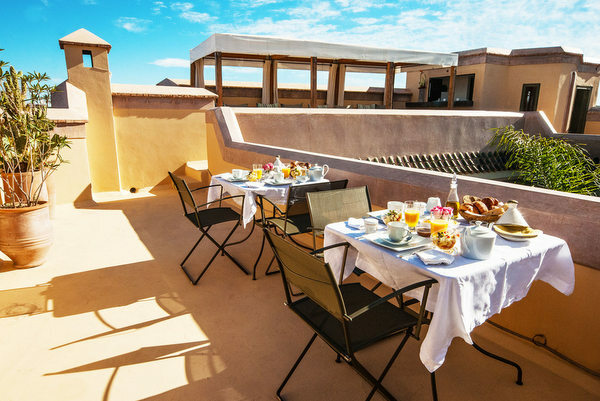 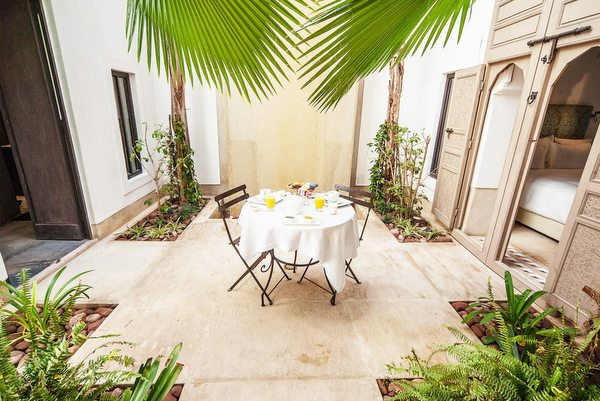 Every morning breakfasts of fresh fruit and locally baked pastries are served by the plunge pool in the courtyard or on the roof terrace, where by prior arrangement, evening meals can also be taken.